Netflix is increasing prices, and though it's just a couple of dollars each month, it adds to the ever-increasing cost of our streaming media services. 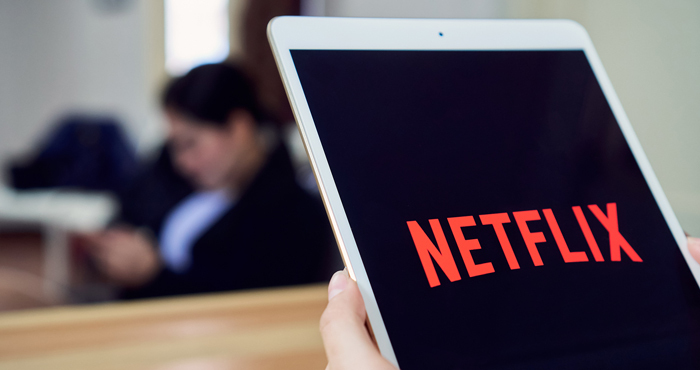 With Netflix losing content month after month, is it worth the $12.99 per month price tag — or is it time to trade Netflix for another streaming service? Before you cancel, you should take a minute to consider the numbers. According to Streaming Observer, Amazon Prime has — by far — the largest movie library, with over 17,000 titles compared to Netflix's 3,800 titles. But don't click cancel on your Netflix subscription just yet, because not all of those movies are worth watching. If you check the reviews of these films on Rotten Tomatoes, the majority didn't earn a "Certified Fresh" rating of 75% or higher. Amazon's massive library only has 232 films that reached that bar — a paltry 1.3% of the site's movies. Netflix, on the other hand, has 596 films that were Certified Fresh. In fact, Netflix has more Certified Fresh movies than Amazon, Hulu, and HBO combined. If you're looking for quality rather than quantity, Netflix is still your best bet. But while Netflix has the better movie library, these numbers don't paint the whole picture. Streaming isn't all about movies — there are tons of television shows, including original shows that are exclusive to each platform. When it comes to quality TV, all of these networks have some award winners. Looking at the 2018 Emmy Awards and Golden Globe Awards, Amazon won seven (The Marvelous Mrs. Maisel), Netflix won six (The Crown, Godless, Seven Seconds, Black Mirror, Master of None), and Hulu won two (The Handmaid's Tale). Amazon and Netflix both picked up more accolades from this weekend's Screen Actors Guild Awards: Amazon netted three wins for The Marvelous Mrs. Maisel, while Netflix picked up awards for Ozark and Glow. All told, that's a lot of awards for original content on our favorite streaming networks. But while Amazon has racked up the most television awards over the past year, that still doesn't tell you if it's the best streaming service. After all, if you aren't interested in comedy, you aren't going to be interested in Mrs. Maisel, no matter how many awards the show has. When you look at content beyond ratings or awards, naming a best service is a lot more complicated — if you're interested in a particular show, your only option is to subscribe to the streaming service that has it. But in the end, Netflix is a good buy despite the price increase. Even though it doesn't have the most movies, it has a better selection of the movies you'll probably want to watch — and a fair amount of good original content to boot. However, that may change later this year when Disney and Netflix part ways, leaving Netflix with even less content.